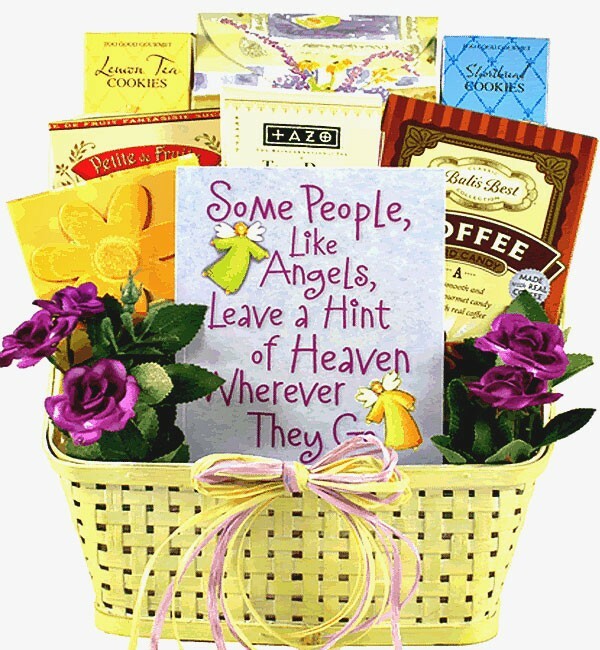 "Leave a Hint of Heaven Wherever You Go." 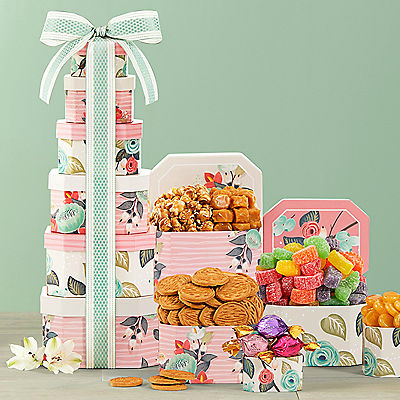 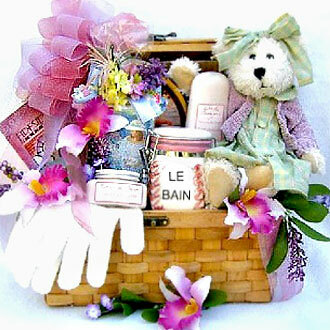 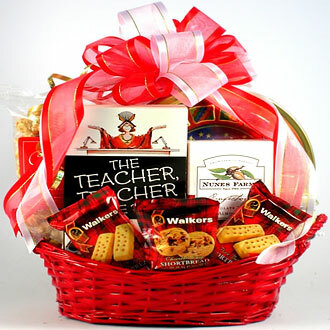 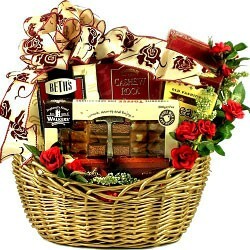 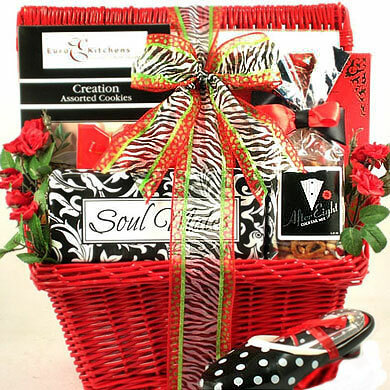 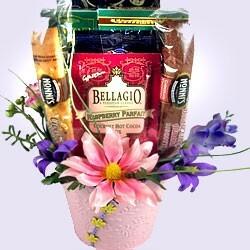 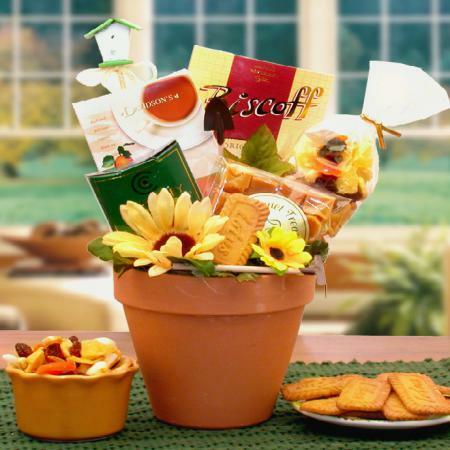 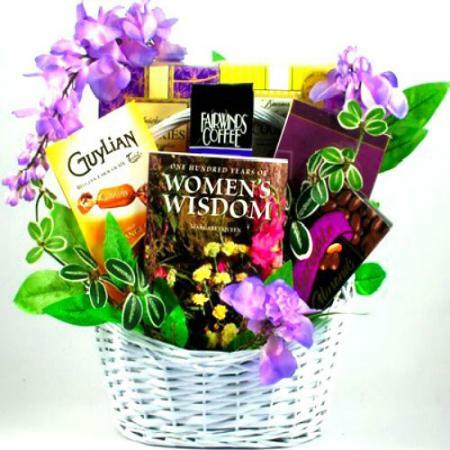 Show that you appreciate her with this delightful gift basket for women. 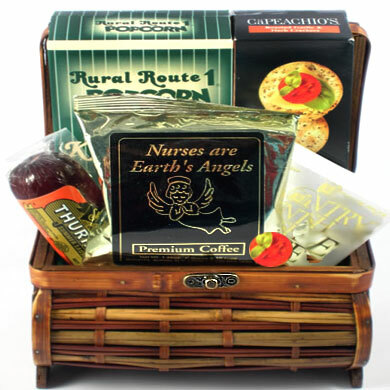 Show her that you appreciate her with this delightful gift basket for women featuring the touching gift book titled “Some People, Like Angels, Leave a Hint of Heaven Wherever They Go” filled with quotes, sayings and light-hearted stories. 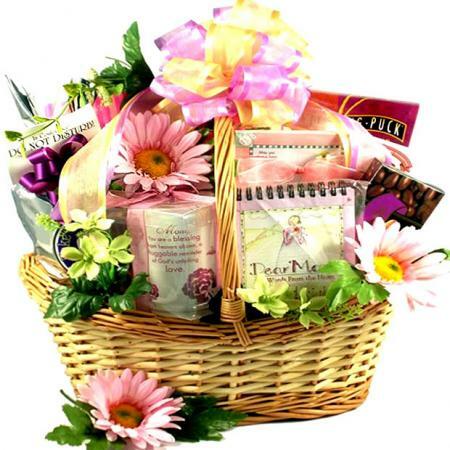 A fantastic gift basket for any occasion and a perfect gift idea for wife, sister, mother, friend and every special woman in your life.